I worked on the Psalm Study Path, part of the Studious Pathway. I really enjoyed doing this exercise because I got to set aside a chunk of time to meditate on a single Psalm and really dig deep to uncover new meanings. This path asked that I read through Psalm 29 several times, using several different translations. At first I only noticed the differences: the words and phrases that were not the same in various readings. Some of the different phrasing helped me to grasp the meanings of some of the imagery. Then I noticed the similarities. Some phrases were repeated in almost every version. For example, “The Voice of the Lord” is the start of many of the verses. This phrase gets repeated 7 times in some translations. Because of this repetition, I spent some time sitting with these words. I also looked up other passages in the Bible that use the Voice of the Lord or other examples where His Voice is shown to be powerful. For me, focusing to understand such things helps me to praise God and to grasp His power and greatness. It draws my eyes away from myself and helps me to focus on Him. Also, in order to understand the imagery in this passage, I looked up on the internet photos and videos of great thunderstorms. Then I imagined myself in the midst of such a storm to get “into the Psalm”. I ask myself questions like, “how I would feel if caught in a storm?” and “how would a storm like this lead me to worship and stand in awe of the God who controls the weather?” Keeping these storm photos in mind, I then reread the Psalm. This allowed me to get a sense of what this psalm wants to convey: to understand the power of God and to give Him the Glory He deserves. My take-away for this study was this: To think that God’s voice is so big and powerful to cause thunderbolts to crash and lightning to fill the sky, and yet so gentle to calm the hearts of men with a word and fill them with peace, is amazing. I can not help but praise Him for His Power and Peace, both in nature and in my own heart. I would definitely use this path again. It guided me to read and study the richness of the passages. I took time to read the parts that I would otherwise be tempted to glaze over. 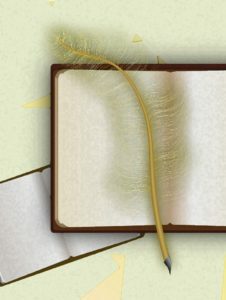 It helped me to read scripture fully and with careful intent. Want to read more experiences from Soul Connection users? Soul Connection is nearing the end of development. 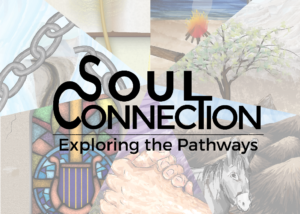 Sign up for updates from GEM eDOT to find out when Soul Connection is available for download from your favorite mobile app store.